A star is born… and immediately crushed. Exciting times for digital film professionals, indeed. Tonight, Canon announced their new EOS C300 Digital Cinema camera – with its Super 35 sensor shooting 4K video @24fps (but with Motion-JPEG compression) and interchangeable Prime and Canon lens mounts and so on. It also announced its whopper of a price tag: $20,000. 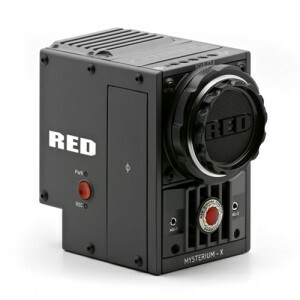 At first glance it seems nice, but then we remember RED and their current line of cameras, specifically the EPIC (currently being used by the likes of Peter Jackson and David Fincher). For $8,000 more you can get an Epic S35 Pro Cinema camera that can shoot video up to 5K (5120 x 2700) @100fps in redRAW format. If quality is what you’re going for, it seems like a no-brainer. Unfortunately for Canon, RED was also right behind them tonight with their crushing Scarlet DSMC (Digital Stills and Motion Camera) announcement, specs and price-point – so anticipated it brought down their own website and forum. 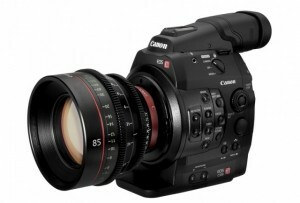 With Canon’s C300 at $20K, RED’s Scarlet is “half the price” with higher capability. Even with Martin Scorcese at the Canon event, I don’t see many people buying their camera. With a low-end price tag of $9,750 (and fully-loaded for around $15K) its a bit steep from the initial announcement a few years ago of “3K for $3K”. But what does that get you? How about 5K resolution stills, 4K motion up to 25fps, 2K up to 60fps, 1K up to 120fps as well as Quad HD (down-sampling to 1080p) all in redRAW format. So what does that mean? It means that what was once only achievable with cameras in the tens and hundreds-of-thousands of dollars range is now accessible for ten grand. Is that good or bad? Well… it depends. It’s like any other piece of equipment, gadget or technology. People with money will buy it, even if they don’t know how to use it or have a need for it. They’ll show it to their friends and if they shoot anything with it, it’ll be mediocre at best. You can expect to see the same sort of movie-making trend seen with the wave of DSLR’s that’s been going on. Someone will make a crap movie but will say “It was shot on a Scarlet” in hopes that more people will watch it. But the camera is just a tool, and in the hands of the right artist(s) it can help create amazing things. Equate that to individuals achieving summer block-buster visual effects on their home computers with a couple grand worth of software. So what does this mean for professionals, indie film makers and the laymen? It means a higher quality image from a camera that’s small enough to fit into places unheard of just a few years ago and at a lower price-point. It has the potential of changing the face of the movie and entertainment industries and also provides opportunity to filmmakers that couldn’t previously afford it. It also has the ability to help change how we’re viewing movies in the theater as well as at home. With higher resolution capture devices, there will be a demand for higher resolution displaying devices. What good is shooting at 5K if you can’t view it at 5K? That’s what I’m looking forward to.